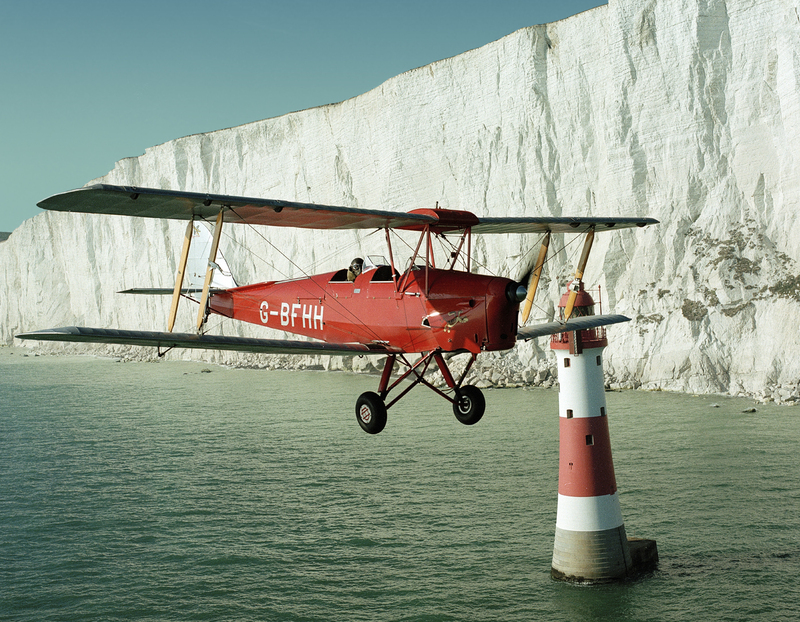 This Tiger Moth was owned by a friend and he asked me to shoot it over Beachy Head Lighthouse. I insisted that we had to be looking across at the lighthouse and the white cliffs and not down on it; this involved getting the formation down to about 100 feet over the water. When planning a shoot like this you have to know and trust your pilots implicitly.